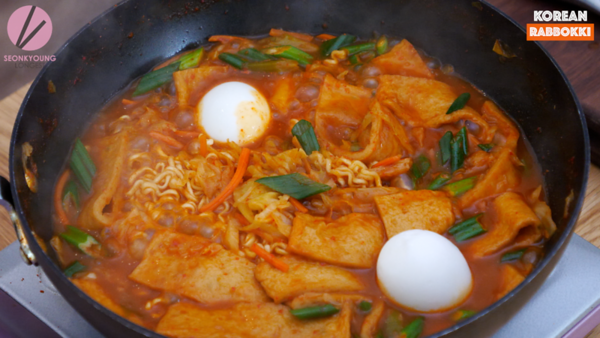 Today, I’m sharing Rabokki recipe! 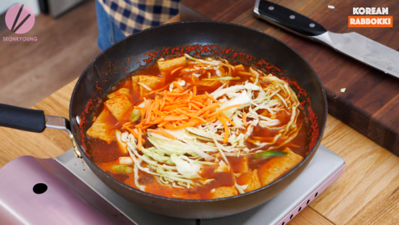 Rabokki is pretty much same as tteokbokki– rice cake in sweet and spicy sauce! 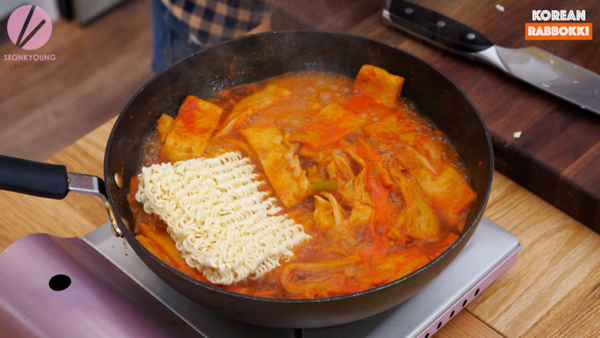 But in this case, instead of rice cake, we are using ramen noodles! 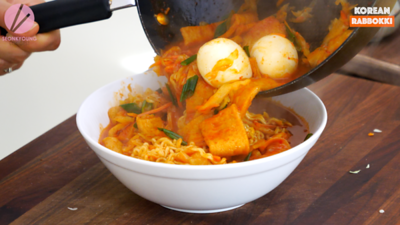 For this recipe, instant ramen noodles works the best, but you can use dry or fresh one too! 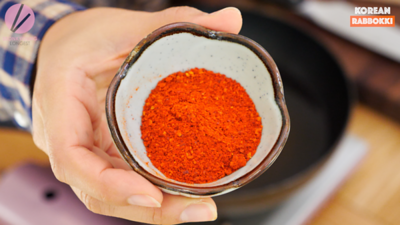 In a pot or a wok, pour Korean ultimate stock and add gochujang (Korean red pepper paste), gochugaru (Korean red pepper flakes), soy sauce and sugar. 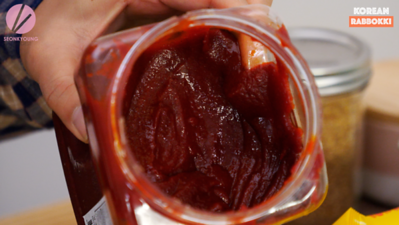 Stir well until gochujang and sugar has dissolved completely and bring it to boil over high heat. 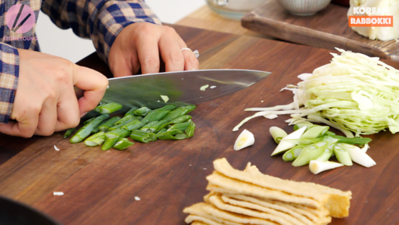 Add fish cake, cabbage, white/light green part of then green onions and carrot. 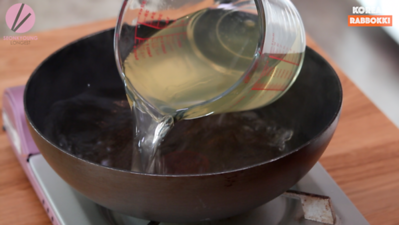 Bring back to boil and let it keep boiling for 2 to 3 minutes. Add ramen noodles and hard boiled eggs and cook the noodles until your liking or following then directions of the package you’re using. 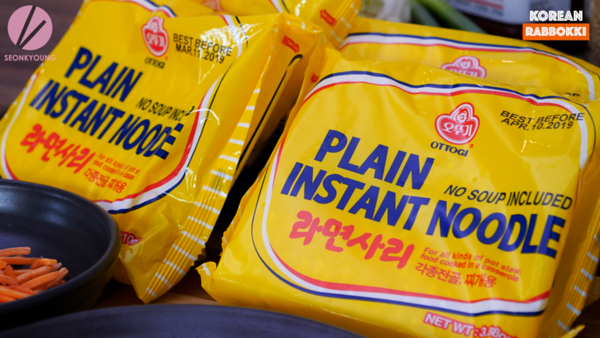 I used Korean plain instant ramen noodles it’s same thing as regular instant ramen noodles, but no seasoning. 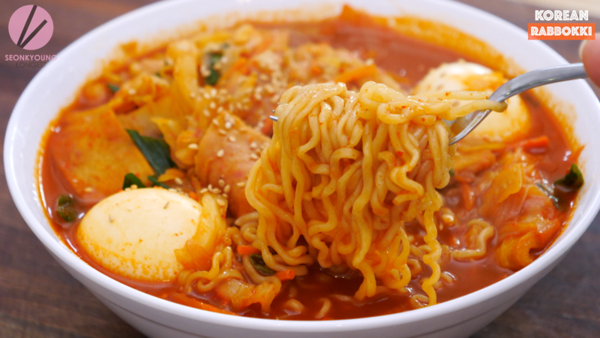 You can find online or Korean grocery stores and you can also use any instant ramen noodles that you can find! Toss in the dark green part of the green onions. 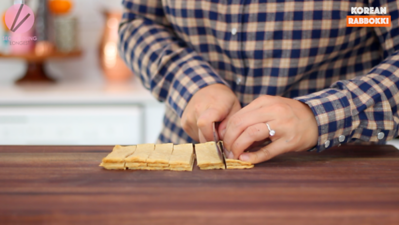 Transfer to a serving bowl and garnish with sesame seeds. 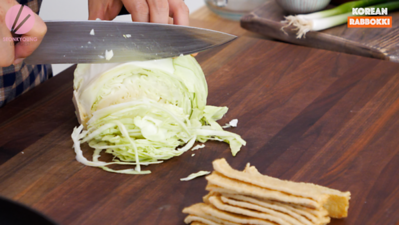 Serve with fried dumplings or/and kimbap! 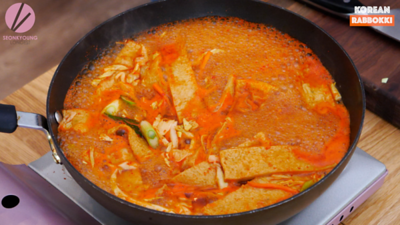 In a pot or a wok, pour the stock and add gochujang, gochugaru, soy sauce and sugar. 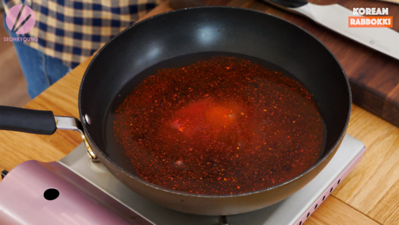 Stir well until gochujang and sugar has dissolved completely and bring it to boil over high heat. 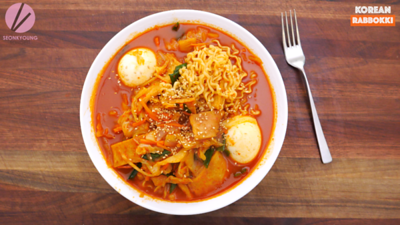 Add noodles and hard boiled eggs and cook the noodles until your liking or following then directions of the package you’re using. Toss in the dark green part of the green onions. 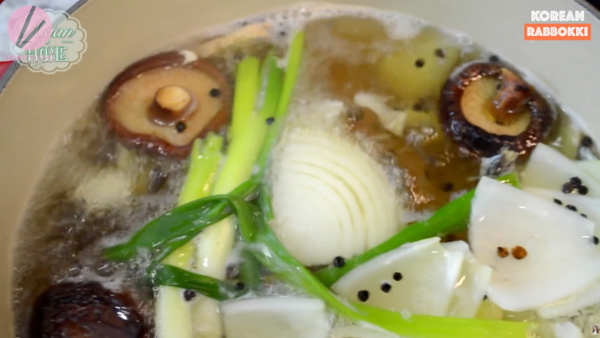 Transfer to a serving bowl and garnish with sesame seeds. 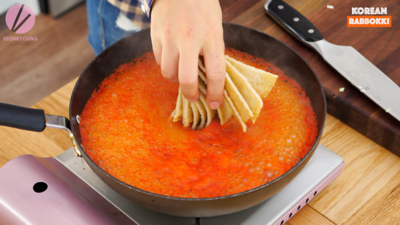 Serve with fried dumplings or/and kimbap! Enjoy! Hi, I can’t buy fishcake in Poland. What can I substitute this ingredient? You can make without it! Or imitation crab meat?